You could even help the children make a special breakfast tray beforehand. All you need to do is photocopy family photographs and glue them on an old tray, then when dry, cover it with several layers of varnish for a strong protection. Watch her face light up when she sees it! What would she love to do with the family? Go to the beach for a picnic, visit the zoo, or even spend time reminiscing and laughing at family photographs. Think of something your mother has mentioned or wanted to do as a family, and then plan it entirely ahead of time (including food and necessities). You know what makes your mother smile. Mother’s Day is the perfect opportunity to show your mother how much you care and appreciate her. Take her out for a special Mother’s Day dinner at her favorite restaurant, and take care of everything (without drama or complaint) and let her relax and enjoy time with her family rather than caring for them. For many mothers, caring for their families is what makes them happy. It is in the mothering genes. So if your mother is not one who enjoys sitting back and letting others organize events or cook in her kitchen – plan and do what makes her happy instead. You could talk to her a few weeks prior, and ask if she could have anything she wished for on Mother’s Day, what it would be. Then plan and do it. We get so caught up in the word “holiday”, organizing get-togethers and family dynamics, that we have forgotten the true meaning of this special day: simply, honoring your mother. So take the time to share the gift of love for Mother’s Day, by de-stressing the day and awakening your ability to share love. 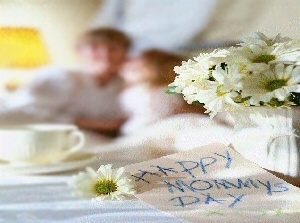 Let yourself feel for the perfect way to share your love with your mother on this day to celebrate her. This entry was posted in Blog, mothers day and tagged mothers day, things to do on mothers day. Bookmark the permalink.